Children come to St James’s with a very wide range of skills and experiences and we aim to make the transition from your child’s previous setting as smooth as possible. The duration of the school day is gradually extended during the children’s first few weeks in school. The children are introduced to the full school day, assemblies and lunchtimes as they become more familiar with school routines and procedures. 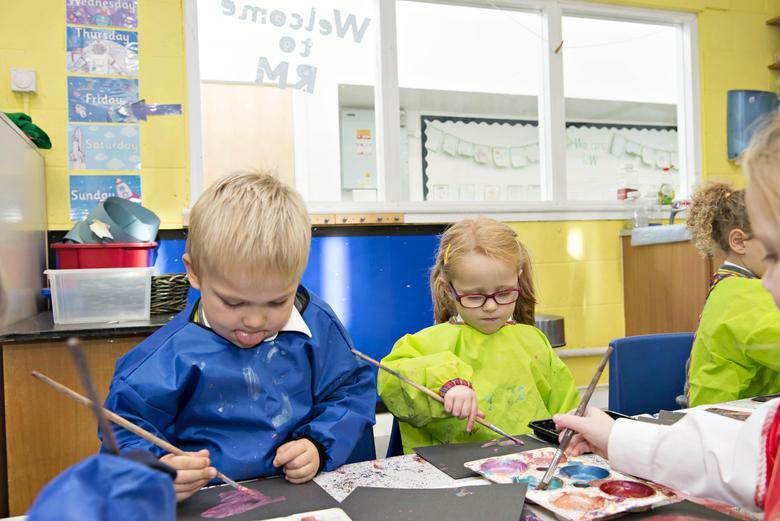 Our curriculum in the EYFS (Early Years Foundation Stage) is planned with the children's interests at the heart and we endeavour to introduce new and exciting learning at every possible opportunity. Much of our work is topic-based and we have a theme that runs for each half term. We will share details of these topics with you over the year. We provide purposeful activities and promote learning through experience and by the encouragement of independence. The Early Years Foundation Stage provides a structure for learning, development and care and covers children from birth to five years of age. That EYFS staff work closely with parents. That parents are kept up to date on their child’s progress. The welfare, learning and all-round development of children with different backgrounds and levels of ability, including those with special educational needs and disabilities. As we observe and record what the children are doing we are able to assess how they are developing. We use this information to plan how to extend and develop each child’s interests, skills and experience, and where to give sensitive support if necessary. There are 3 Characteristics of Effective Learning – Active Learning, Playing and Exploring, Creating and Thinking Critically. There are 3 Prime Areas of Learning – Personal, Social & Emotional Development, Communication & Language and Physical Development. There are 4 Specific Areas of Learning – Literacy, Mathematics, Expressive, Art & Design and Understanding the World. The specific areas of learning strengthen the prime areas and are all taught together; they are all equally important and depend on each other to support a rounded approach to your child’s development. 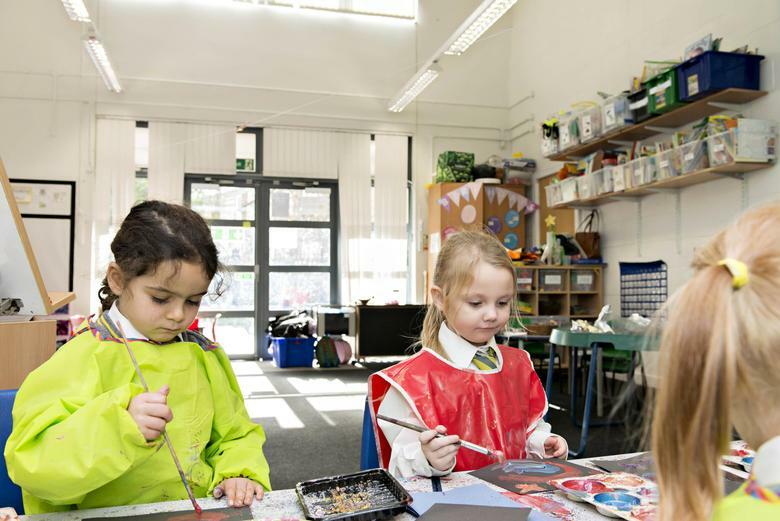 In the EYFS the children are presented with a wide range of practical activities and experiences through a well organised and well resourced learning environment. The children have daily access to both indoor and outdoor learning on a free flow basis. The activities, which can be adult-led, adult-framed or child-initiated, are intended to motivate, stimulate and challenge. These are activities that children will carry out with a member of staff in both indoor and outdoor environments. The children are asked to come either individually or in small groups to complete them, which may introduce new skills or concepts, or encourage practice or extension of other skills. These are activities that the staff have planned for the children, but are not led by them. The children can access them independently, staying at them for as long as they like. These activities are chosen to either develop or consolidate skills and are often linked to the topic or theme of the day. These are activities completely chosen by the children themselves. The children select the resources they need, carry out their play and put them away, without the support of an adult. They are encouraged to make decisions and solve problems independently.